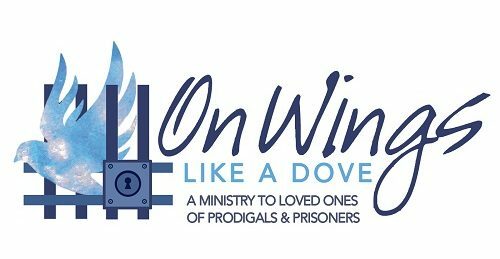 On Wings Like a Dove is a non-profit 501(c)(3) organization. All contributions are used for the continuation of the ministry and there are no salaried positions. Contributions support mailing monthly newsletters to inmates and families, sending over 3,000 Bibles a year to prisoners upon request from the prisoner, yearly ladies retreats for loved ones and family members of prodigals and prisoners, weekly Bible studies at the office location, and to support the needs of our one office location. 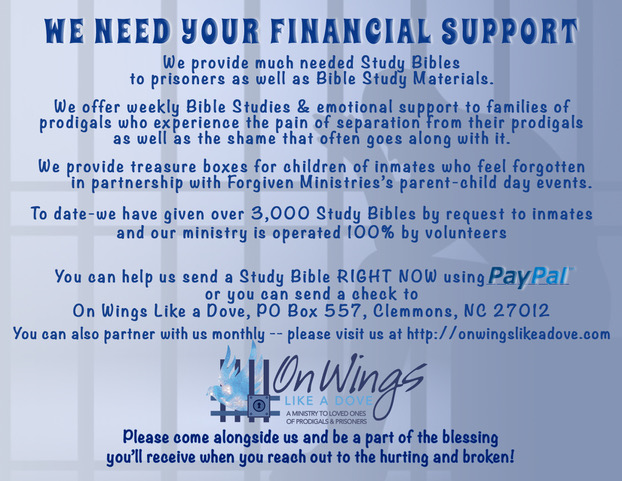 On Wings Like A Dove, Inc., PO Box 557, Clemmons, NC 27012. We accept online and credit card donations by partnering with PayPal.